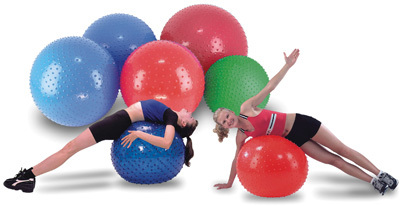 The Gymnic Sit’n’Gym Ball with Feet is made to promote circulation for greater attention and alertness. Works for exercise. Ages 3 years and up depending on size Made of super strong latex-free vinyl material and is surface washable. 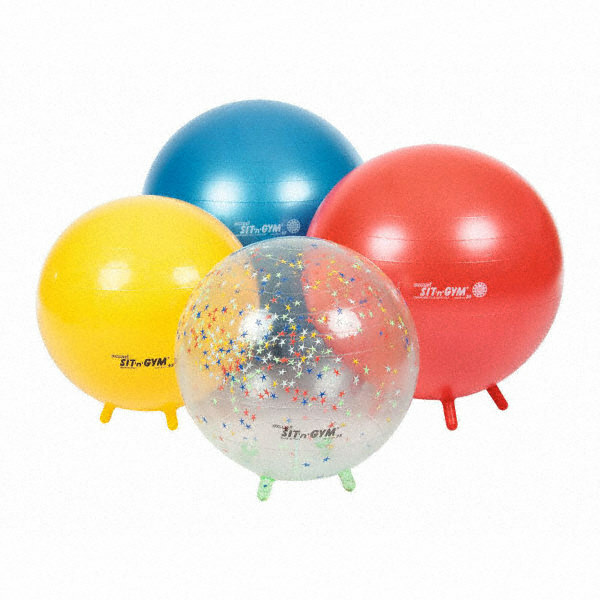 The Gymnic Sit’ n’ Gym ball has little feet to prevent them from rolling away when you stand up. 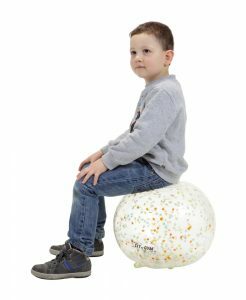 Widely used in European kindergartens and classrooms, the Sit N Gym encourages dynamic sitting through gentle body movements that improves blood circulation increasing the child’s attention span conducive to better learning. 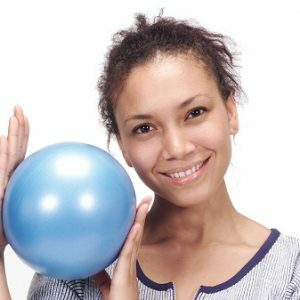 It also promotes proper body alignment for better posture. 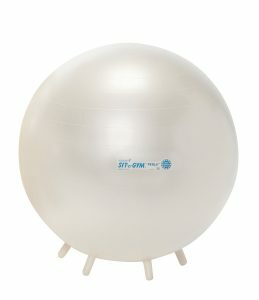 Provides all of the ergonomic seating benefits of the regular exercise ball, but stays put when not in use. While you sit/train, the feet collapse for maximum instability. 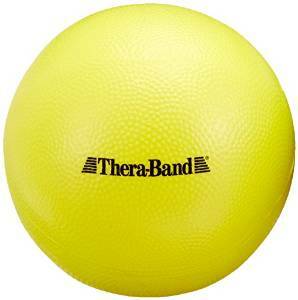 Once you get up, the feet snap back so that the ball remains in one place. 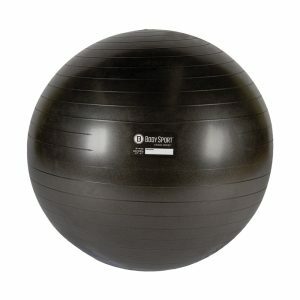 Can also be used as a regular exercise ball. Sturdy and reliable for your exercising needs. 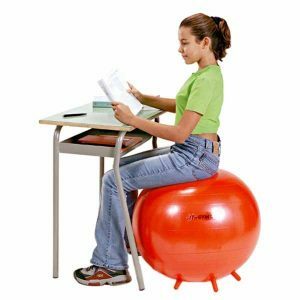 This exercise ball with legs provides an economical way to use your ball as a chair with added stability and flexibility. Poly bag packaging. Recommended weight: max. 270 lbs / Tested load capacity 660 lbs.